Bitterly cold temperatures haven’t stopped worshipers from celebrating Epiphany and Orthodox Christmas. Christian believers across the globe joined in celebrations. Those who attended midnight liturgy at Moscow’s Cathedral of Christ the Savior had to bundle up for the bitter cold as temperatures in the capital dropped to about -30C on Christmas night. 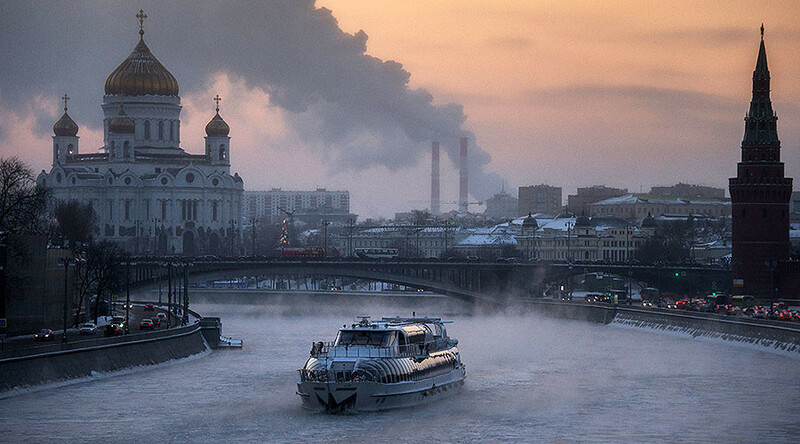 In Moscow Region, temperatures dropped below -32C. Extreme cold weather was experienced across the country, with some regions such as Siberia and Yakutia recording temperatures of -40C. Around 500 personnel from emergency services were deployed in the Russian capital to assist worshipers. Authorities provided around 200 mobile food tents with hot meals during the Christmas celebrations due to the cold. This Christmas night was the coldest in the last 120 years, a meteorologist from Fobos weather center said, as cited by RIA Novosti. “Even in the last 120 years this Christmas night was the coldest one, though the absolute record was more than 130 years ago, in 1881, it was -35C,” the center reportedly said. The Orthodox Church follows the Julian Calendar, which is 13 days behind the Gregorian Calendar that was adopted by the Catholic Church in the 16th Century. This is why Orthodox Christians celebrate Christmas on January 7, and not on December 25. Christmas is also celebrated on January 7 by the Jerusalem Orthodox Church, the Serbian Orthodox Church, the Georgian Orthodox Church, and the Ukrainian Greek Catholic Church, as well as some Protestants who use the Julian calendar. In Serbia, where temperatures dropped below -15C, Orthodox Christians celebrated Christmas Eve in front of the St. Sava temple in Belgrade on Friday with a traditional oak log fire. Turkish Orthodox Christians also joined the celebrations despite sub-zero temperatures. Believers jumped into the Golden Horn strait in Istanbul on Friday in a traditional ceremony celebrating the Orthodox celebration of Epiphany, or baptism of Christ. Traditionally, Orthodox epiphany is celebrated on January 19, according to Julian calendar. However, some Orthodox Christians celebrate Epiphany on January 6. Orthodox believers in Bulgaria waded into the icy waters of the Tundzha River and danced the Hora, in a traditional male-only event to celebrate Epiphany. The men dressed in national costumes and dived into the freezing waters to find a crucifix thrown in by the priest, before handing it to the youngest participant of the dance. It is believed that the person who retrieves it will be healthy all year, AP reports.